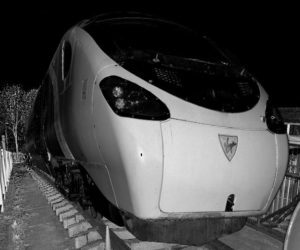 Pendolino purchasers will be able to follow developments (including progress on laser scanning, CAD drawings, tooling and livery samples etc) as they happen. These images show progress on the tooling for the Pendolino. 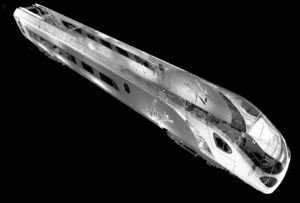 This is the tool for the glazing parts one of the first class vehicles. 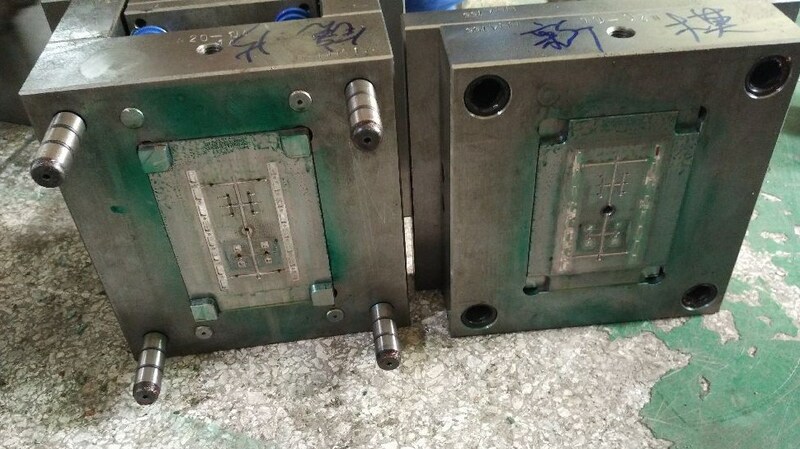 The size of the tooling blocks is a reflection of the strength required to tolerate the pressures used in injection moulding. 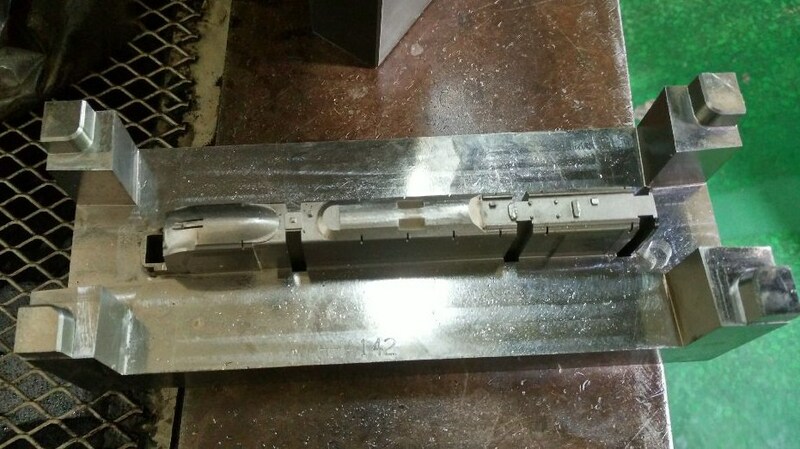 These are the components moulded from the tool above. 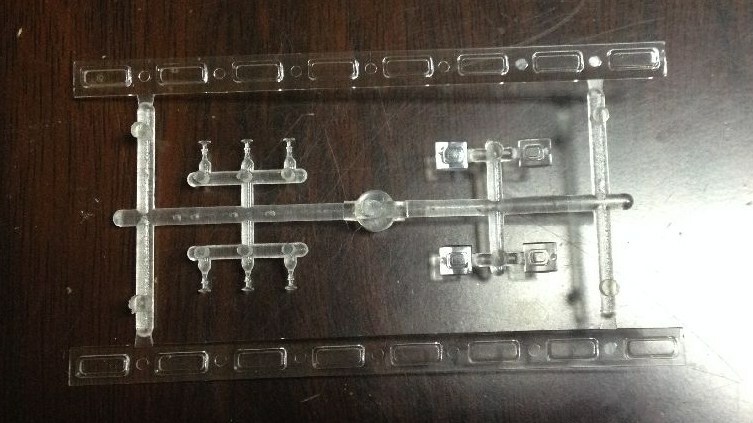 Visible are the main glazing strips for this vehicle top and bottom, then in the centre the six tiny table lamps and four door windows. 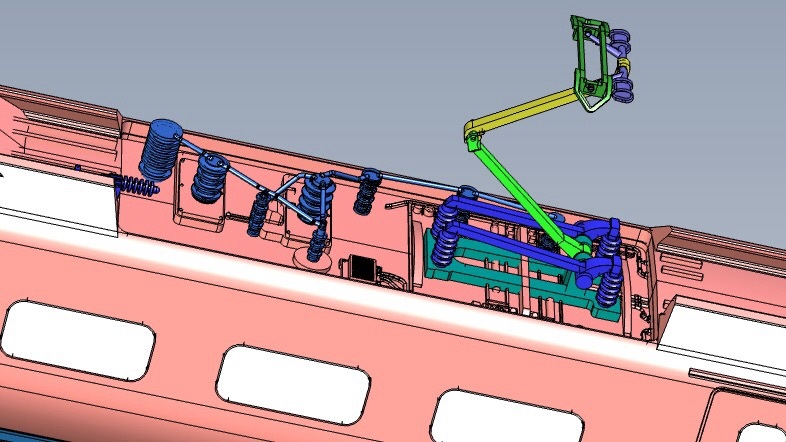 This tool is for the NEM coupler mounts at each end, and also includes other fine parts such as the insulator pots for the overhead equipment on the roofs of the PTF and PTSRMB vehicles. 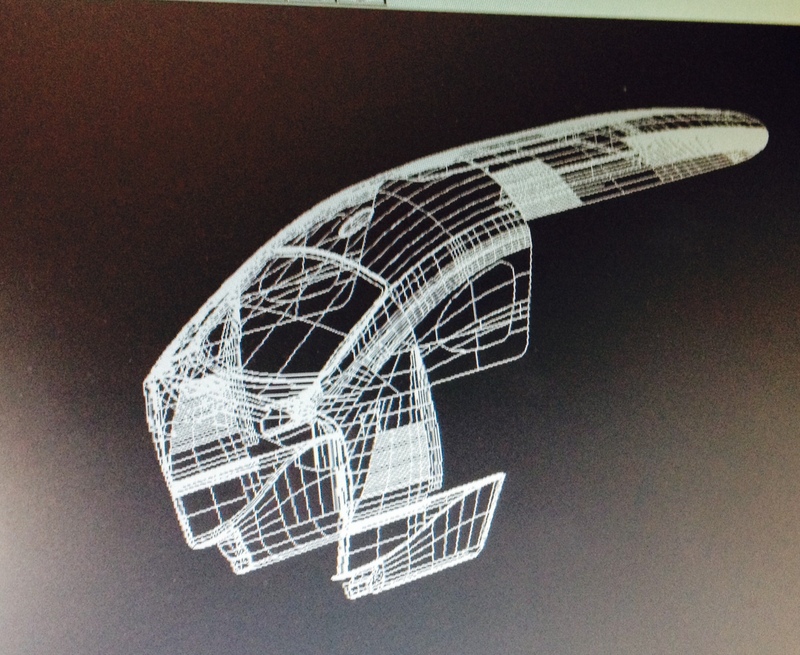 This tool is the interior core for the driving cars, defining the shape of the inside of these mouldings. 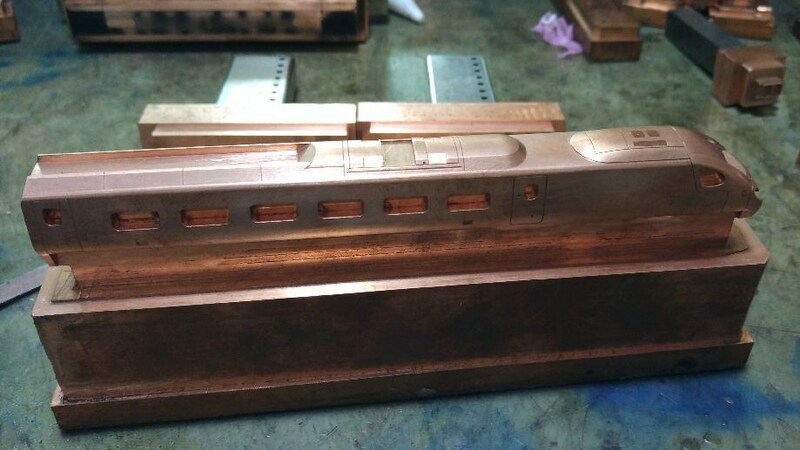 This copper electrode is used to spark-erode the basic shape of the driving cars. 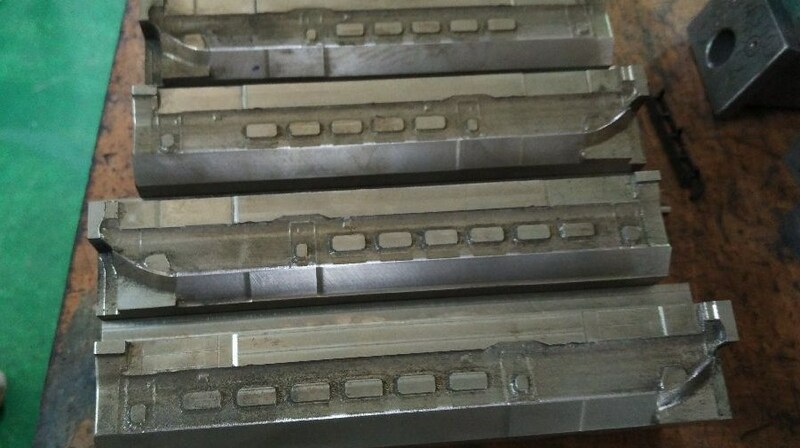 These tools are the side slides produced from the electrode above, in their raw form. 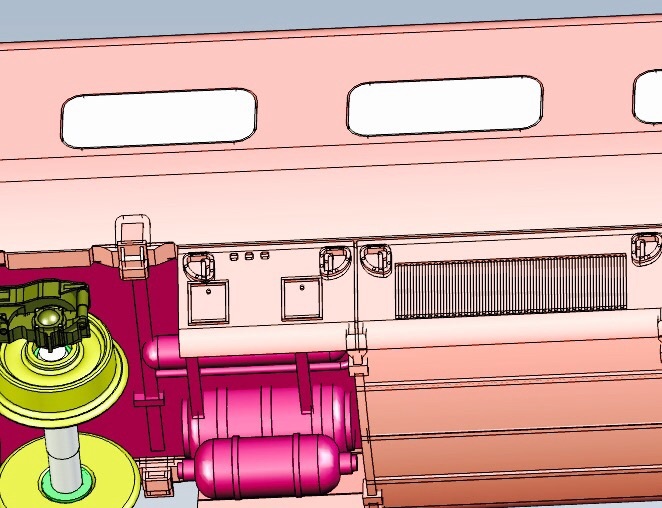 Top are those for the DMSO with five windows, below are those for the DMRF with six. These are in a relatively rough, unpolished state. 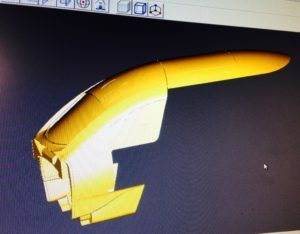 They will be tidied up, more details may be engraved in, and then test shots are moulded. 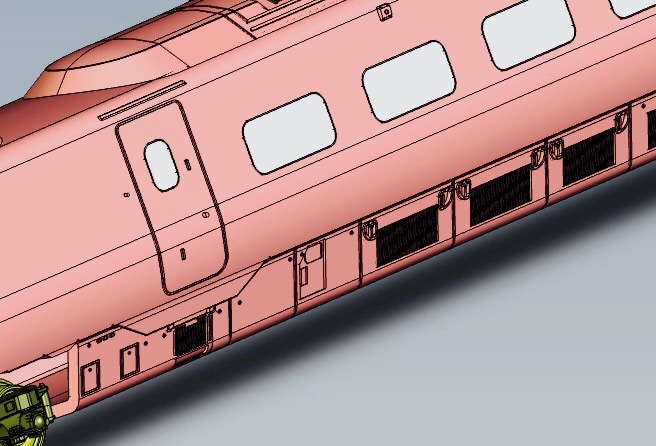 We are hoping to have samples moulded from these tools to show visitors to the Warley National Model Railway exhibition at the NEC on November 28th and 29th. 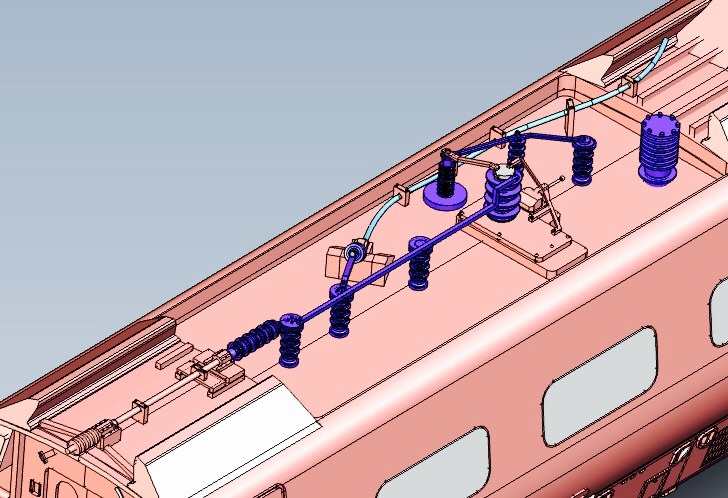 The PTF and PTSRMB vehicles have now had the pantographs added. 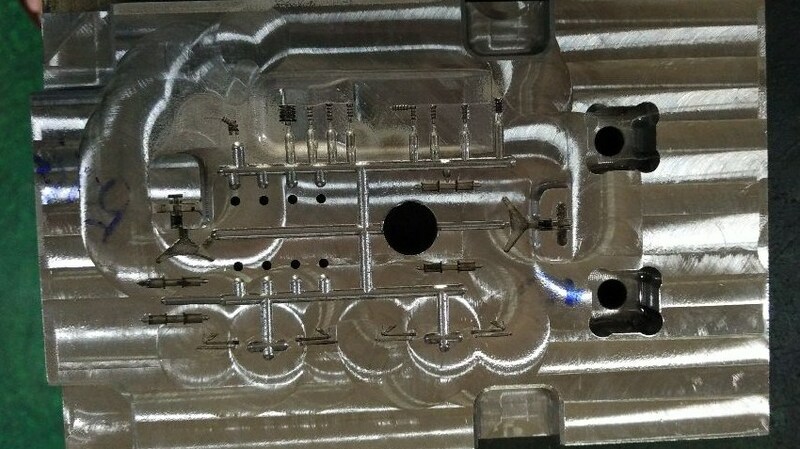 These are plastic mouldings, and poseable, rather than sprung, since we felt that more people operate their models without contact wires than with!! 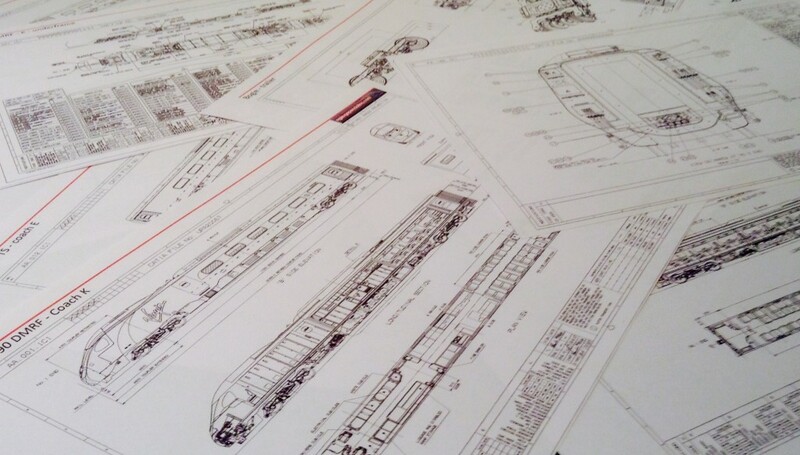 We’d like to thank Brecknell Willis who sent us excellent drawings of the real thing to help us get this right. There are still a couple of mods to the collector needed – the ends should be less angular – but we think we are definitely getting there. 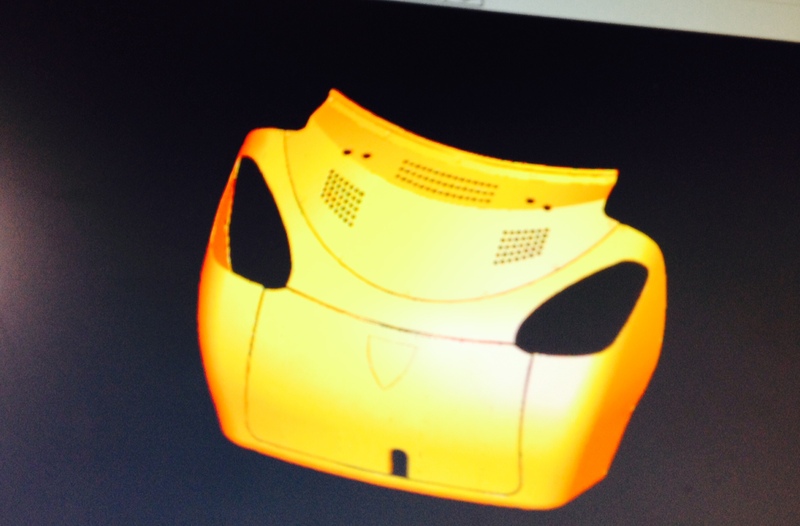 July 2015 – first model CAD files. 02/03/2015 – first peek at the preliminary CAD. 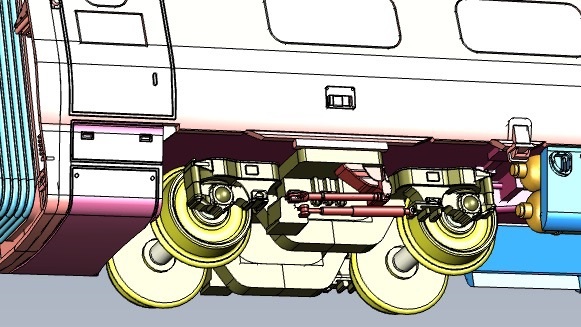 NB still a lot of detail to be added yet! 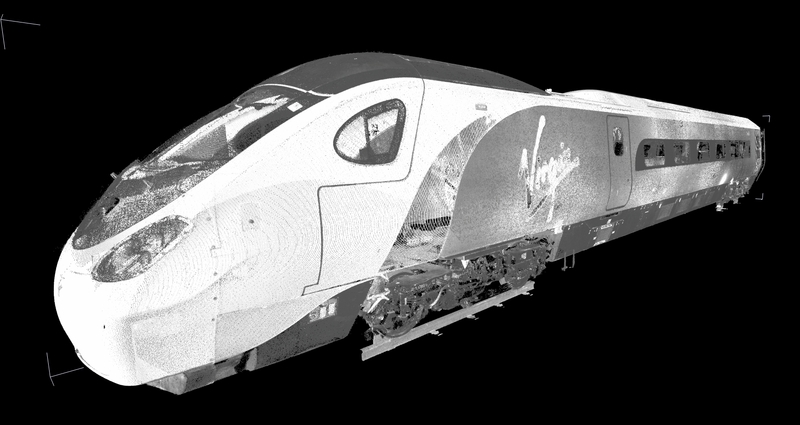 Plus a couple of shots of the point cloud data. 05/02/2015 – first images from the 3D scan. 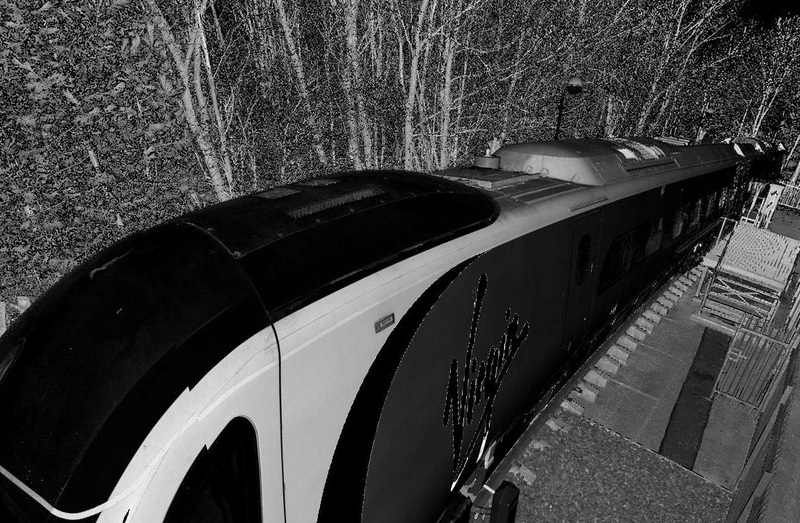 Please note that if the images look distorted it is because they are taken from panoramic images! We also received some more CAD from Virgin – here are a few images that we have been able to extract. 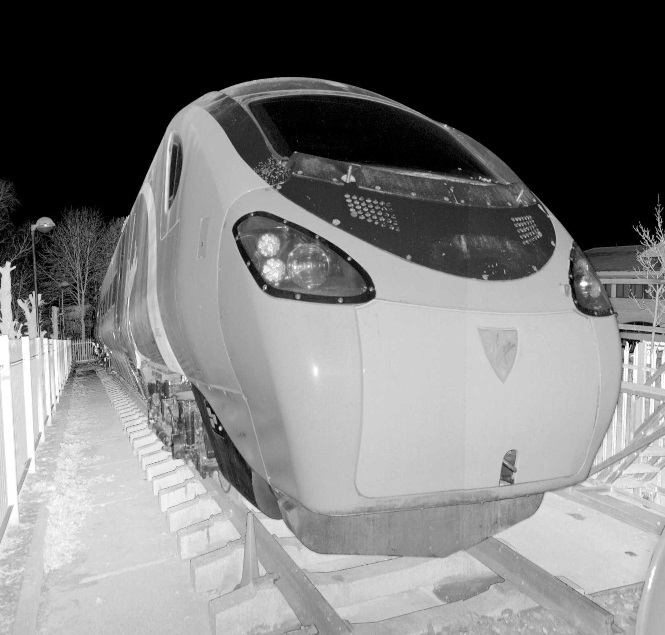 02/02/2015 – Pendolino scanned! No snow today so Scantech were able to do their magic. Andy York of RMWeb was on hand to record the process and Ben provided some commentary. 29/01/2015 – we were due to laser scan the prototype at Crewe, however a sudden burst of snowy weather temporarily defeated us and meant the scanning company were stuck in snow and the Pendolino was covered in snow (not ideal for scanning!). You can see a short video of the problem (courtesy of Andy York, RMWeb)! We will go back on Monday (2/2/15) when hopefully the weather will be better!